An empty emergency call box located near Dupont Circle. That was my first reaction to the uniquely shaped posts (but more than posts) I would see scattered around the city. Likely the first one I saw was like the one here: interesting looking, but obviously missing something. However, then I saw others elsewhere in the city, and someone had decided to actually do something with these dignified relics from another era. 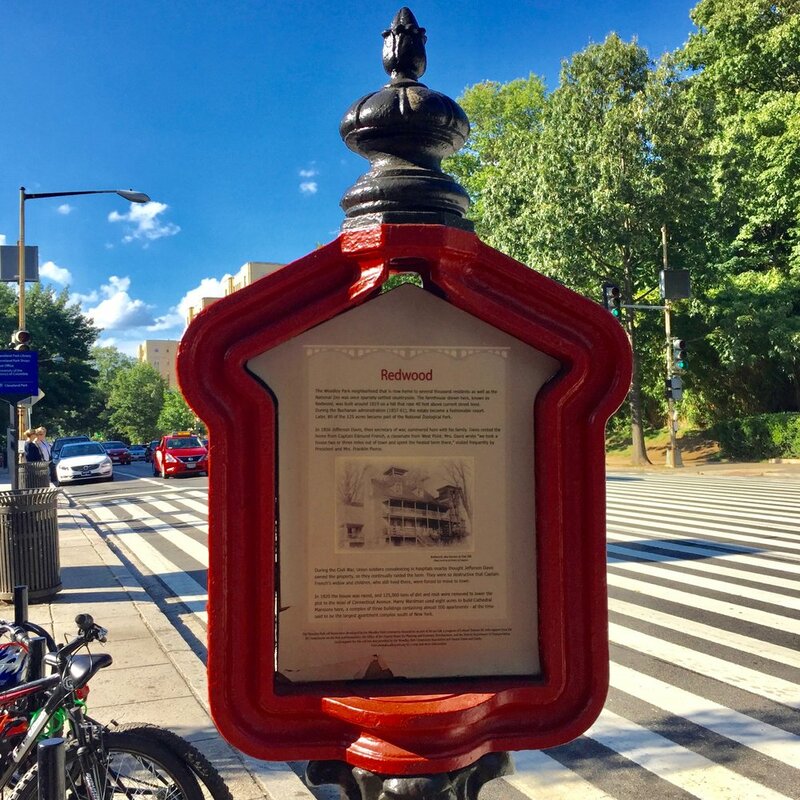 Some had historical information about the neighborhood, like these from my neighborhood of Cleveland Park. It was sometimes what used to be in that spot when these things were installed, and sometimes just facts about the neighborhood. 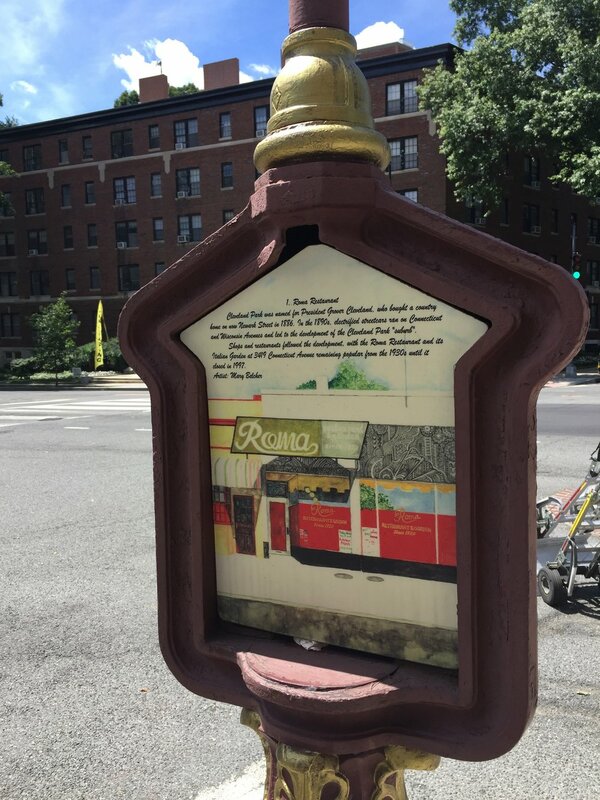 The Art on Call initiative began in 2000 when the city surveyed and identified call boxes for refurbishment. More than 1,100 abandoned boxes have been located to date. The District Department of Transportation stripped, primed, and prepared about 700 boxes in 2002 and 2003. Sorry, but that's just cool: rather than spending the time to dig up pieces of the city's history, Cultural Tourism DC partnered with the city and neighborhood organizations (including the one where our offices are located) to turn these boxes into something interesting and relevant: there's something fascinating about turning something once incredibly useful and then irrelevant into something relevant if not useful again. I would say that having things in a city that makes the daily commute a little more interesting is useful, at least for me. So, keep your eyes peeled for the hundreds of call boxes around the city and share any that you find particularly interesting.